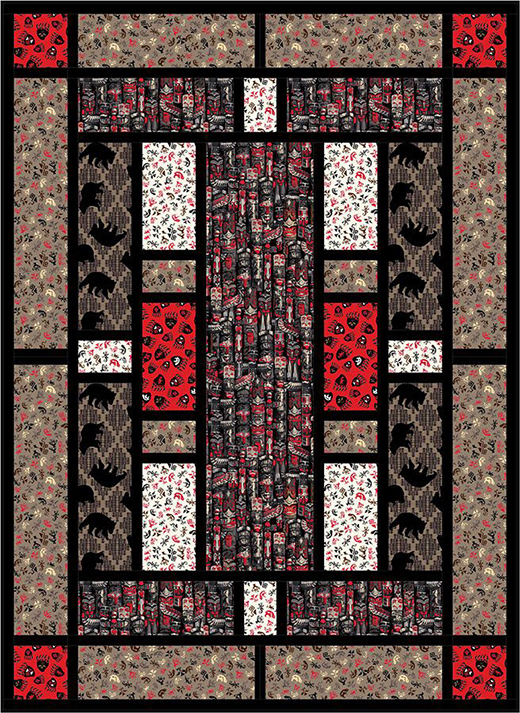 This Totem - Day of the Bear Quilt designed By Linda Leathersich & Stephanie Sheridan of Stiched Together Studios for Bear Creek Quilting Company featuring Wilmington Batiks, The Pattern is available for free. A handsome, outdoorsy look inspired by the Pacific Northwest. These beautiful, rich colors and bear paw prints pay a tribute to this unique culture. Uses Kanvas’s Totem collection by Maria Kalinowski.